Youth are active in our life at Grace in a variety of ways, leading music on Sundays, participating in study and art groups, serving as crew leaders for Grace Camp, directing our annual Christmas pageant, and serving as acolytes. To be added to Grace's youth email list and receive up-to-date information about youth activities at Grace, contact Lindsay, Grace’s Director of Communications, [email protected]. In this season, Grace’s youth are especially invited to join in the following activities. On the last Thursday of each month, youth in grades 6-8 gather for dinner, play, discussion, and worship. Youth in grades 6-12 serve as leaders for Grace’s vibrant kids summer camp at Grace. Apply here. Rising 8th graders and high schoolers lead this summer camp serving children of farmworkers in Mount Vernon, Wash. During the week we join in games, activities, and reflection with neighbors in Mount Vernon. We spend evenings playing and relaxing in a rented house nearby. Apply here. Our 5th – 8th graders pack and distribute sack lunches in Seattle about every other month. To participate, contact Kim Cockroft, Minister for Faith Formation, [email protected]. Acolytes serve in Grace’s Sunday morning liturgies, guiding us to listen and look for God’s spirit in our midst. Youth and children age 10 and older are welcome to join our acolyte team, led by Luke Yoder. To learn more, contact Kim Cockroft, [email protected]. On the first Sunday of most months, juniors and seniors at Grace join the Rector for lunch after church at a local restaurant. To get a text prompt to come along, contact Wren, [email protected]. 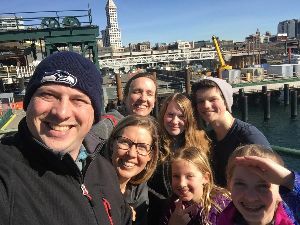 Our confirmation series for high school youth started on February 24, 2019 and will culminate with confirmation at St. Mark’s Cathedral in Seattle on May 18. We’ll schedule another confirmation series in the spring of 2020. To join in, contact Wren, [email protected]. 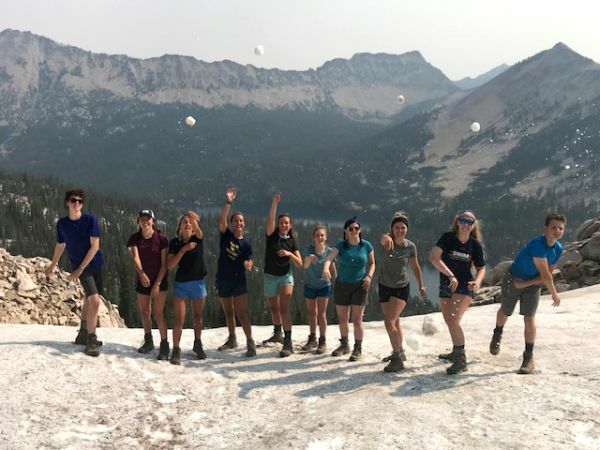 In July 2019, nine of Grace’s high schoolers will embark on a ten-day pilgrimage in the Sawtooth Mountains of Idaho with Bill Harper of Pilgrim Trekking and Wren Blessing. This year's application window has closed; information about next summer's pilgrimage will be forthcoming in early 2020.